Prime Rib is a sponsored post on behalf of Certified Angus Beef ® brand, however opinions expressed are 100% my own. 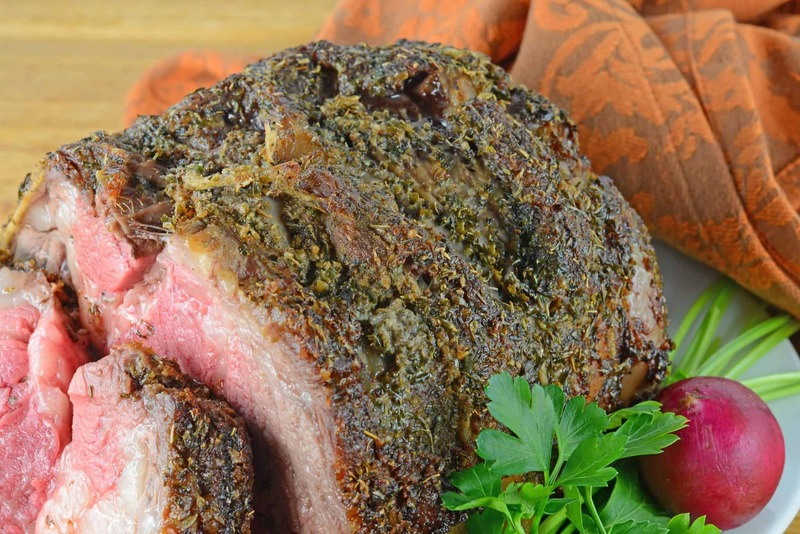 Prime Rib, or rib roast, is the king of all holiday meals. 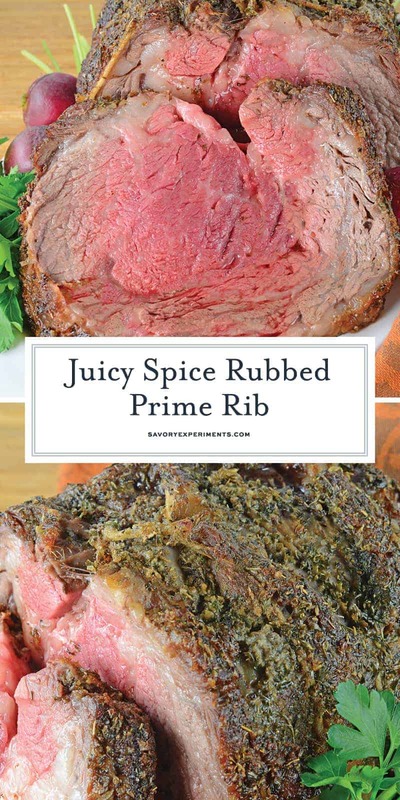 Studded with garlic and rubbed with spice mix to create a flavorful bark, this is the best prime rib recipe you will ever eat! 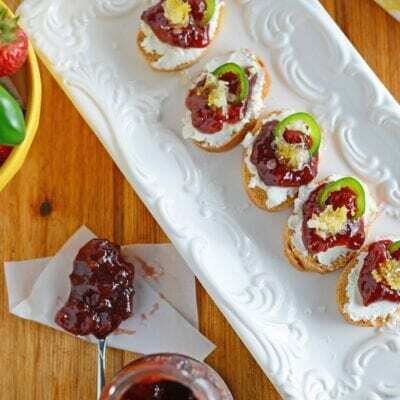 The holidays are coming and with them a lot of fancy special meals! 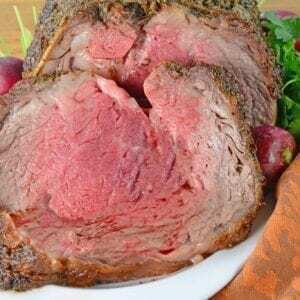 Prime Rib, also known as a standing rib roast, boneless rib roast or just rib roast, is the king of all holidays meals. The perfect prime rib is actually really simple to make as long as you are willing to invest in a pricey piece of beef. I think that the price of the cut sometimes intimidates folks; fear of failing with such a delicacy. The amount of fresh garlic can be varied to appeal to the taste of your family and guests, my family happens to prefer a lot. As you can imagine, my house smells lovely while this bad boy roasts! Later that night is questionable… LOL. You can also choose to cook yours longer. My family is loves their rare except for my mother-in-law, so I cook the whole thing rare and after carving, put just her slice back into the oven for a bit. This prime rib came to me from my favorite beef brand, Certified Angus Beef ® brand. Six pounds of tender deliciousness. And just looks at that bark! 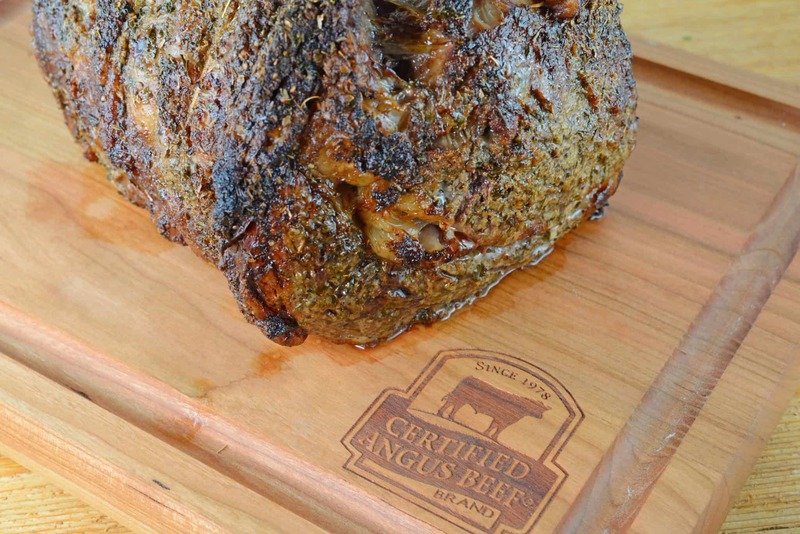 Seeing this label means that the beef was certified as Angus and then passed a 10 point quality inspection before receiving the coveted stamp of approval. When you look for their brand logo, you do not need to worry about quality, it is guaranteed. I’ve worked with them for over two years now, even visiting their test kitchens and developing recipes with beef experts and chefs. 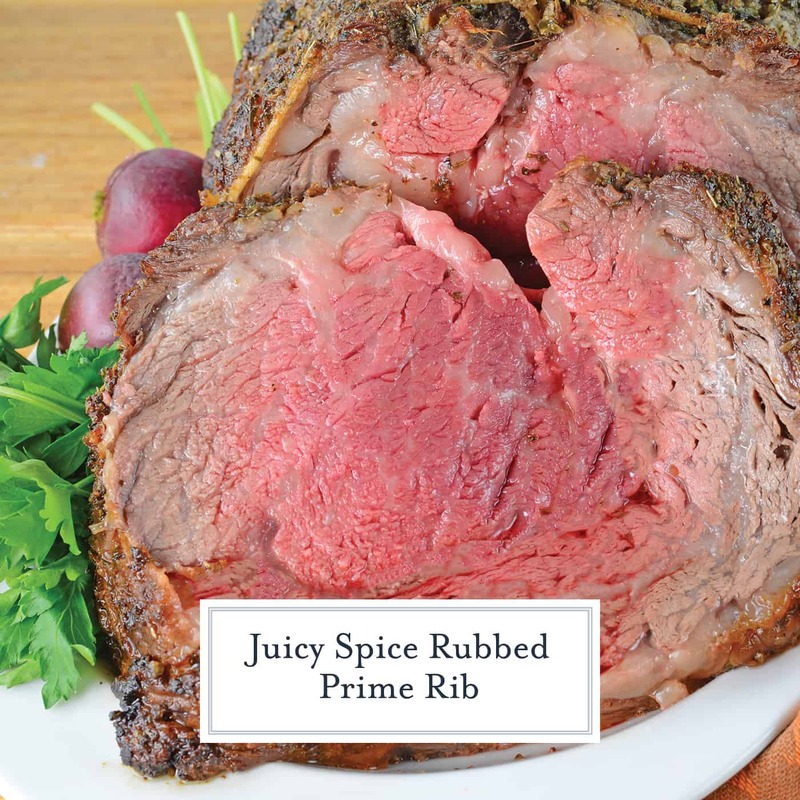 Classic prime rib is well-seasoned on the exterior (bark) and initially seared at a high heat to create a spice crust that seals in all of the juices. The oven temperature is then reduced considerably while the roast continues to…. well, roast. Also don’t underestimate the importance of tying your roast. 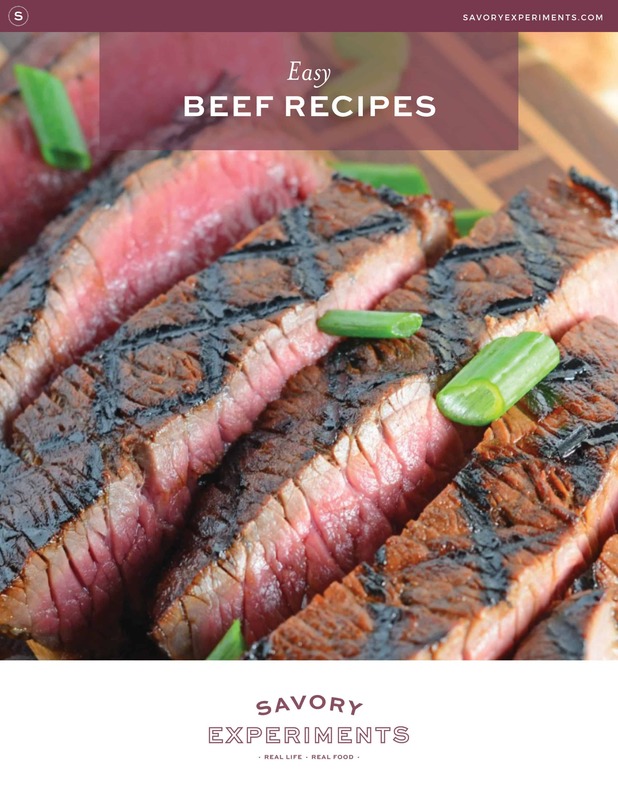 If left untied, the outer layer of meat will pull away from the rib-eye muscle and overcook, it also keeps the fibers of your meat close together, resulting in an evenly cooked roast. Tie your roast in 2-inch sections very tightly. You can also ask your butcher they will generally do it for you. Cooking time depends on the size of the roast and can be adjusted depending on how many you are feeding. This photo shows a 6-pound boneless rib roast, which would generously feed 5-6 people. Most butchers measure by “ribs” instead of weight. Anything less than 3 ribs will be challenging to roast right just because it isn’t big enough, but the general guidelines are 2 people for every rib. Even boneless roasts are measure in “ribs”. Also make sure your prime rib as a fat cap or “lid”, a fatty top layer. This adds flavor and protects the precious meat from over cooking and drying out. 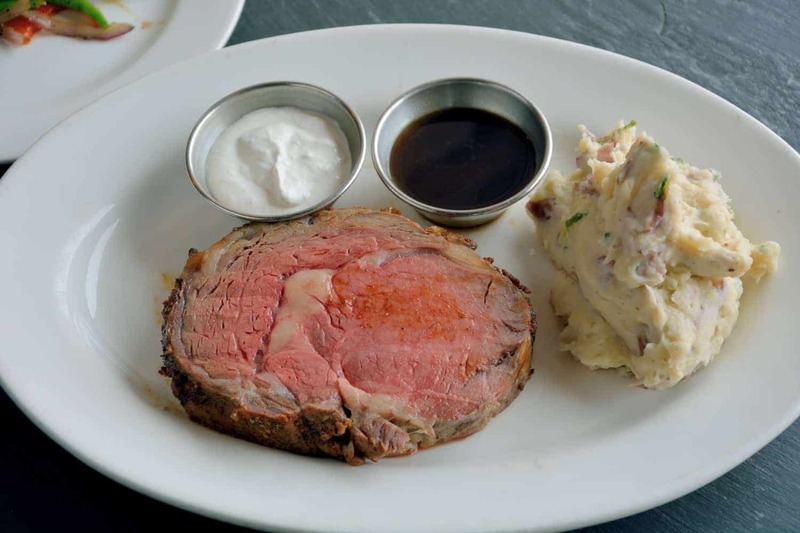 I like to serve my prime rib with Horseradish Cream Sauce. Most are made with sour cream and mayonnaise, making an aioli, but I actually like to whip cream and fold it in. 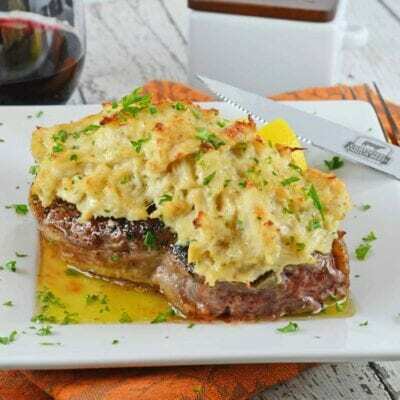 The soft, fluffy texture doesn’t overwhelm the meat. After making such a glorious roast, why would you want to weigh it down with a heavy sauce? I also make my homemade steak sauce, Copycat Peter Luger Sauce. 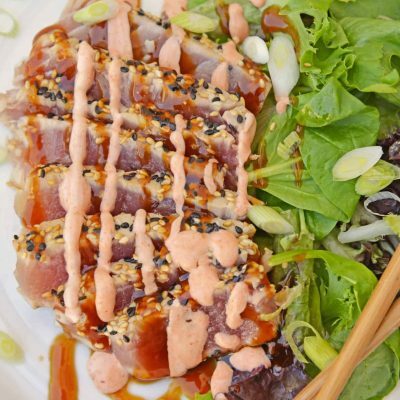 You can also serve it with an au jus or cup of natural juices. If you need side dishes for prime rib, here are a few! Tie roast with cooking twine at 2 inch increments. Preheat oven to 475 degrees. Using a sharp knife, pierce pockets at variable points throughout the roast. 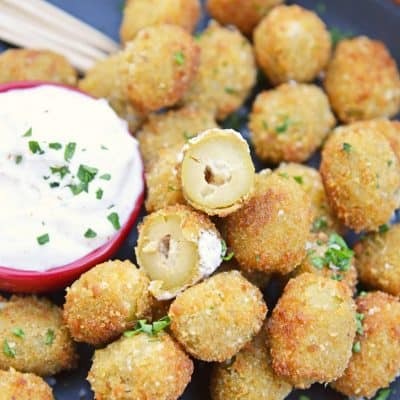 Poke garlic slices into each pocket. In a small bowl, mix dry spices, black pepper through onion powder, mix. Drizzle extra virgin olive oil over the entire roast, massaging in with your fingers. Then massage the spice mix evenly over the exterior of the roast. Set aside for 10-15 minutes. Coat a broiler pan with cooking spray. The broiler pan is fairly paramount because it allows the heat the circulate around the roast. If you don't have a broiler pan, place a cookie cooling rack on a large, heavy rimmed baking sheet. Sear for 15 minutes. Turn on your fan- things might get a little smokey! Lower heat to 350 degrees. Continue to bake for 20-25 minutes or until the center of rib roast registers 120 degrees (rare) to 130 (medium rare). Cook for approximately 15 minutes per pound. 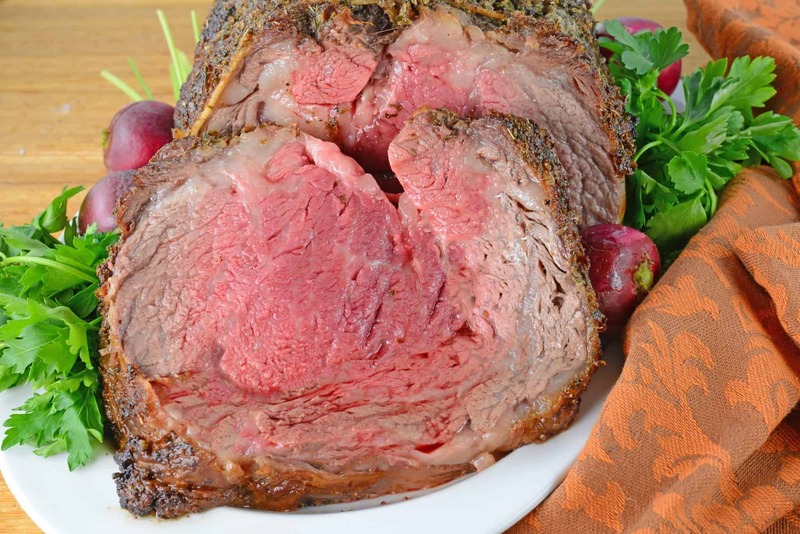 Prime rib loses flavor and the coveted texture if cooked past medium rare. If your guests insist on a medium to well done slice, place that slice back in the oven after you finish carving the medium rare boneless rib roast. After removing the roast, allow to rest for 10-15 minutes before carving. 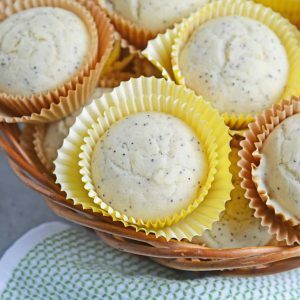 Serve with au jus, Horseradish Cream Sauce or Peter Luger Sauce! I was looking for a quick, easy recipe for a smaller cut. Tried this one, and oh my goodness! Our prime rib roast came out absolutely fantastic! The “crust” was the perfect blend of seasoning and the meat was so tender and juicy! Amazing! Thanks so much! This looks like Christmas dinner to me. Thanks for sharing. Prime rib roast has always intimidated me. It’s the cost of the roast that has scared me, I think. I’d hate to burn it and have to go for Chinese on a holiday. Your recipe is so simple, it would be hard to ruin this roast. It would make a great holiday dish. Thanks. I’ve pinned and stumbled. I’ve never made a prime rib, but this looks doable!